The Northern Chamber Orchestra will be joined by guest lutenist Matthew Wadsworth for their concert at Macclesfield’s Heritage Centre on Saturday 9 February. He plays a concerto written for the theorbo by Stephen Goss, which Wadsworth himself commissioned and premiered in 2018. 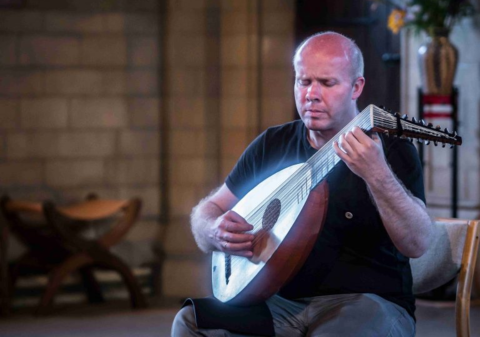 The piece is the first concerto ever written for this 17th century lute-like instrument and will allow the audience to hear this early music instrument in a modern context. Matthew Wadsworth studied lute at London’s Royal Academy of Music and then spent a year at the Royal Conservatory of Music in The Hague in the Netherlands. Working in Britain, Europe and North America as a soloist and chamber musician, he has appeared at most major concert halls and festivals and often can be heard on the radio, both in live performance and recordings. Alongside this work, the Northern Chamber Orchestra will also perform two towering works of genius, Bartók’s magnificent Divertimento for Strings, from 1939, his last composition in Europe before fleeing to the United States prior to World War II; and a piece sure to put a smile on any face with its bouncy confidence, the 3rd of Bach’s Brandenburg Concertos. Tickets for the concert start at £16 and are available now.